Currently affiliation is open to counties, organizations, groups and individuals! We are open to those organizations, groups and individuals that agree to the KWF’s philosophy of Karate and its techniques and that are interested in affiliating with the KWF. • Individuals may register as KWF “Individual Members”. [STEP 2] Understanding our registration system. KWF is an international organization for members all over the world. We need the support and cooperation from each member of the KWF to make sure the KWF HQ can administer the KWF and to make all KWF members proud of their status as members of the KWF. – Please note that the prices and fees quoted are from 2009 April. The figures are quoted in US dollars for convenience. The KWF may quote the figures in yen depending on the exchange rate situation. 1. Initial Entry Fee for group/individual: Please Contact HQ. * Issued by KWF HQ only. * Required for all KWF Members . 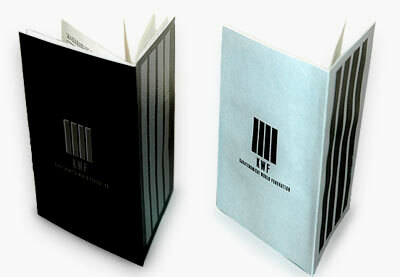 – It is required that all members of the KWF purchase KWF passport issued by KWF HQ. Any document stating membership of the KWF that is not issued from the KWF HQ is invalid and does not signify membership of the KWF. – It is required that all members of the KWF carry their passports at all KWF events such as camps, examinations, and tournaments. (KWF HQ will check your passport at all KWF events. The membership number, registration seal, and qualification details to be recorded correctly in each passport). – Leaders of KWF branches and KWF organizations must have order the correct number of passports to cover each and every one of their KWF members and send the details to the KWF Headquarters with the membership list form that we have enclosed. Please request individual membership directly from the headquarters. – For additional new members, please make an order once a month. All KWF members have to renew non-KWF diplomas to KWF versions and the renewal qualification has to be recorded in the passport. All KWF members’ qualifications have to be recognized in their passports. Qualifications from the JKA or any sensei related to the JKA, may have their qualifications renewed into KWF diplomas. (Please send the relevant copy of the diplomas). If your diploma is issued by another style or by an organization other than the JKA, you must take an exam to verify your present qualification. When leaders register their members with KWF headquarters, please make sure to check for requests for renewal on the membership name list form. KWF headquarters will issue the renewal diplomas (Dan and License only) and passports and send them to leaders after verifying payment. On the passport, the name, registration number and qualification will be recorded, along with the official stamp. * All KWF members must pay a registration fee that is renewed annually. – The Headquarters office will send registration seals along with passports as soon as we receive your payment. – Leaders have to collect the registration fee from their members and pay the total amount to the headquarters office. – Registration seals have to be affixed to the passports. – Supreme and international shihans do not have to pay registration fees. – Supreme teachers and international shihans will receive separate identification (not passports). All Kyu qualifications have to be recorded in the passport by the leader of the KWF organization or KWF branch. – Leaders of KWF organizations or KWF branches have to send the name list of members who passed the exam. Registration fees have to be deposited in the KWF headquarters’ bank account at the same time. – KWF headquarters will send the registration numbers for each member to the leaders after verifying the payment. – KWF leaders have to record Kyu registration numbers that are issued by KWF headquarter into their passports. c) Registration for Dan & License qualifications of Instructor, Referee, and Examiner. All qualifications are controlled by passports and any/ all qualifications have to be recorded in the passport by KWF headquarters with the official stamp and registration number. Qualifications not recorded in the passport will not be recognized officially as KWF qualifications. – Following each examination (2 to 4 times annually year depending on the organization or branch policy) the leaders of the KWF organization or KWF branch must send a list of the names of members who passed the exam together with their passporta to the headquarters office by post. The registration fee must be deposited in the KWF Headquarters’ bank account at the same time. – KWF headquarters will record the registration number and stamp each passport and then return the passports back to the leader with the necessary diploma after verifying the payment. • Once you understand our system and agree to follow, please apply through our application form. >>> Go to the Application Form. When you register each year, please write here and send it to HQ. If your registration is not sent each year, the KWF HQ cannot register you.